I had an amazing stay and the staff was always very kind and helpful. 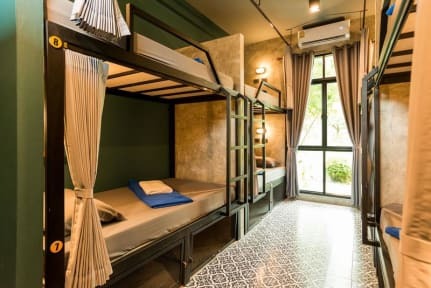 The hostel looks really fancy and to go to ao nang beach it takes around 30 min. I definitely recommend it! Big clean dorms, hard beds and big lockers for backpacks. You get a towel as a blanket but it was ok. Kitchen can be used and they offer free water and great cookies 24 hours. The pool is awesome. The location is very bad though. You have to walk about 40mins to city centre/beach or take a taxi which is quiet expensive there. Hostel has scooters for rent as well. 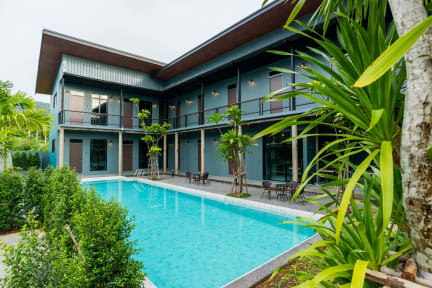 Great and clean Hostel! We enjoyed our stay very much! 30min walk to the city. No possibilities to chill at the pool. Just chairs no sunlounger. Staff is very very great and helpful.